Advanced Research Computing – Technology Services (ARC-TS) is pleased to announce that the Yottabyte Research Cloud (YBRC) computing platform is now certified to accept data designated as Controlled Unclassified Information (CUI). This includes certification for YBRC and its associated services, enabling secure data analysis on Windows and Linux virtual desktops as well as secure hosting of databases and data ingestion. For more information on CUI, see the U-M Research Ethics and Compliance CUI webpage and Sensitive Data Guide: Controlled Unclassified Information (CUI). CUI regulations apply to federal non-classified information requiring security controls; an example of CUI data often used in research is data from the Centers for Medicare and Medicaid Services. The new capability ensures the security of CUI data through the creation of firewalled network enclaves, allowing CUI data to be analyzed safely and securely in YBRC’s flexible, robust and scalable environment. Within each network enclave, researchers have access to Windows and Linux virtual desktops that can contain any software required for their analysis pipeline. The CUI certification extends YBRC’s existing capabilities for handling sensitive data; the service can also take HIPAA data, Export Controlled REsearch (ITAR, EAR), Personally Identifiable Information, and more. Please see Sensitive Data Guide: Yottabyte Research Cloud for more information. YBRC is supported by U-M’s Data Science Initiative launched in 2015 and was created through a partnership between Yottabyte and ARC-TS. These tools are offered to all researchers at the University of Michigan free of charge, provided that certain usage limits are not exceeded. Large-scale users who outgrow the no-cost allotment may purchase additional YBRC resources. All interested parties should contact hpc-support@umich.edu. Social and organizational life are increasingly conducted online through electronic media, from emails to Twitter feed to dating sites to GPS phone tracking. The traces these activities leave behind have acquired the (misleading) title of “big data.” Within a few years, a standard part of graduate training in the social sciences will include a hefty dose of “using of big data,” and we will all be utilizing terms like API and Python. This year ICOS, MIDAS, and ARC are again offering a one-week “big data summer camp” for doctoral students interested in organizational research, with a combination of detailed examples from researchers; hands-on instruction in Python, SQL, and APIs; and group work to apply these ideas to organizational questions. Enrollment is free, but students must commit to attending all day for each day of camp, and be willing to work in interdisciplinary groups. The dates of the camp are all day May 14th-18th. The University of Michigan Library system and the Data Acquisition for Data Sciences program (DADS) of the U-M Data Science Initiative (DSI) have recently joined forces to license a major data resource capturing parcel-level information about the property market in the United States. The data were licensed from the Corelogic corporation, who have assimilated deed, tax and foreclosure information on nearly all properties in the entire US. Coverage dates vary by county, some county records go back fifty years. Coverage is more comprehensive from the 1990s to the present. These data will support a variety of research efforts into regional economies, economic disparities, trends in land-use, housing market dynamics, and urban ecology, among many other areas. 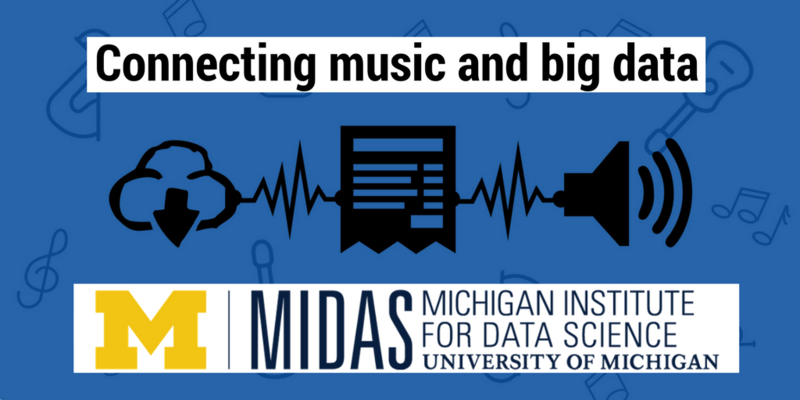 The data are available on the Turbo Research Storage system for users of the U-M High Performance Computing infrastructure, and via the University of Michigan Library. To access the data, researchers must first sign a MOU; contact Senior Associate Librarian Catherine Morse cmorse@umich.edu for more information, or visit https://www.lib.umich.edu/database/corelogic-parcel-level-real-estate-data. SparkSQL is a way for people to use SQL-like language to query their data with ease while taking advantage of the speed of Spark, a fast, general engine for data processing that runs over Hadoop. I wanted to test this out on a dataset I found from Walmart with their stores’ weekly sales numbers. I put the csv into our cluster’s HDFS (in /var/walmart) making it accessible to all Flux Hadoop users.